Luckily, Dr. Morice and the Tubal Reversal Center offer a flat fee for a tubal reversal surgery. A mini-laparotomy tubal reversal with Dr. Morice costs $5,250. This is a flat fee that includes your pre-operative appointment, your surgical suite, and your anesthesia. A $500 deposit is needed to schedule your surgery, and the remaining $4,750 is due before your surgery date. What does a “mini-laparotomy” tubal reversal mean? The most common type of tubal reversal surgery is performed by mini-laparotomy. During this procedure, a 2- 4 inch incision is made above the pubic line. The tubal anastomosis (or reconnecting of your fallopian tubes) is then performed through that incision. The incision is below the bathing suit line, so none of your friends or fellow sunbathers will ever see the incision. Recovery time for this procedure averages 1-2 weeks, with most clients back at work after 1 week. Dr. Morice also performs tubal reversal surgery by laparoscopy and robotic surgery. Prices for these procedures are much more expensive as they involve the use of laparoscopic and robotic equipment. These have smaller incisions and, on average, a shorter recovery time. The method that is best for you varies by client. Together, you and Dr. Morice will determine which method is best for you. All methods have excellent success rates, and all are a great choice for you and your family. What if I don’t have $5,250? 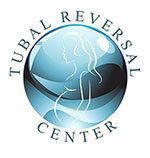 The Tubal Reversal Center offers both low-cost tubal reversal and financing. CareCredit is a third party organization that allows you to finance your procedure. This allows families to have the procedure first, and pay it off later. CareCredit offers different payment schedules and interest rate . To Learn more and apply for instant approval please visit them at www.carecredit.com.